Concrete Countertop LED Lights: Changing everything you think concrete should look like! This LED embedded concrete countertop is everyone’s back yard dream. Why would you limit yourself to granite or marble when you could create something as amazing as this unbelievable outdoor kitchen counter. With Surecrete’s concrete countertop mix and a little imagination, anything, anything is possible. What are you waiting for? 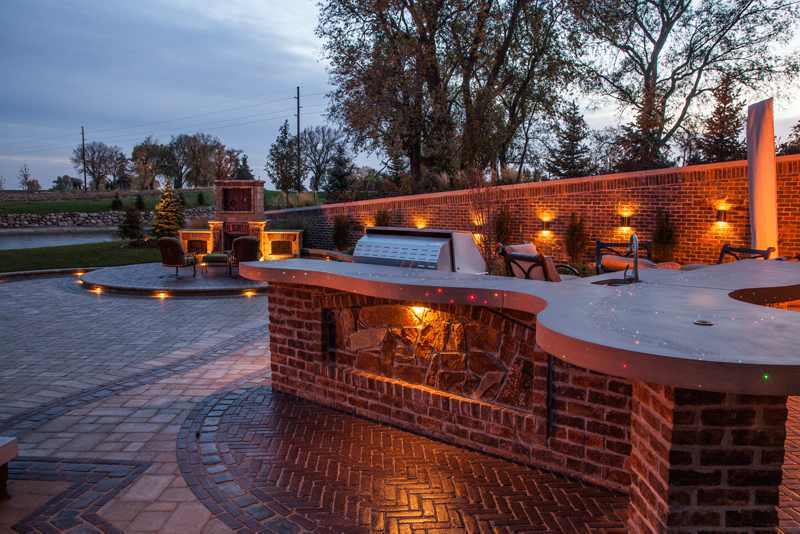 Contact your Surecrete dealer today to find out how easy it could be to have this kitchen in your backyard.